Houston's most anticipated restaurant openings — including Peska — has foodies making a list. Rendering courtesy of Wulfe & Co.
Foodies love to be in the know — and there's nothing like a little advance intelligence. Who wouldn't want to know every restaurant that's opening this fall as well as the restaurants coming in 2015 that have already been revealed? This story is a true notebook dump — the full list of every bar and restaurant I am aware of that's set to open sometime in the future. While I won't pretend that the list is comprehensive (that would be virtually impossible), it does provide some sense of both recently opened and upcoming concepts. The order is roughly when I think they're likely to debut. Obviously, openings at the top of the list are much more certain than the bottom. For example, I am very confident that Prohibition will open before Nov. 1, but am less certain whether the Kata Robata izakaya will open in December or get pushed to 2015. The Houston restaurant boom of 2014 shows no signs of slowing down. Just look at the number and diversity of concepts coming. Two takeaways jump out immediately from this list. One, the Houston restaurant boom of 2014 shows no signs of slowing down. Just look at the number and diversity of concepts coming. Two, within the general boom, operators are betting big on Midtown. Seven of the concepts on this list are coming to the neighborhood. Recently opened bars & restaurants that haven't appeared in Where to Eat Now (yet). Paul's Kitchen, the "globally inspired, locally sourced" restaurant from former Osteria Mazzantini chef Paul Lewis is now open in the former Haven space. Joining Lewis in the kitchen are Mazzantini alumni sous chef Matthrew Lovelace and pastry chef Kelsey Hawkins. Don't miss the fish and chips. Main Kitchen, the restaurant in the newly opened downtown JW Marriott is under the direction of former Clumsy Butcher/Plonk! Bistro chef Erin Smith. It's serving breakfast, lunch and dinner every day. El Pollo Loco, the California-based fast food chain known for its grilled chicken and Mexican-inspired sides returns to the Houston area with a new location in Sugar Land. The Gorgeous Gael's an Irish pub in the former Brian O'Neill's space in Rice Village with a solid whiskey selection and a food menu of elevated pub fare developed by farmers market fixture Ara Malekian. Go have a short rib burger and a pint of Guinness. Gage Lounge, a bar next to Reef in Midtown, features "grape, agave, grain and earth." Think creative cocktails, shareable snacks and mid-century design. Gray's Public House, a craft beer bar in the former Good Life space that showcases an extensive selection of canned beers. Robard's Steakhouse, an upscale steakhouse opening later this month in The Woodlands that features onsite butchery, dry-aging and a smokehouse. Art deco styling and a 1,000 bottle wine cellar further enhance the experience. Prohibition, the nostalgic and decadent restaurant and supper club set to open this month downtown. One of fall's most anticipated openings thanks to the participation of former Batanga chef Ben McPherson in the kitchen and longtime Hay Merchant/The Pass & Provisions bartender Lainey Collum as beverage director. The renovated Victorian theater will host performances by the Moonlight Dolls burlesque troupe. 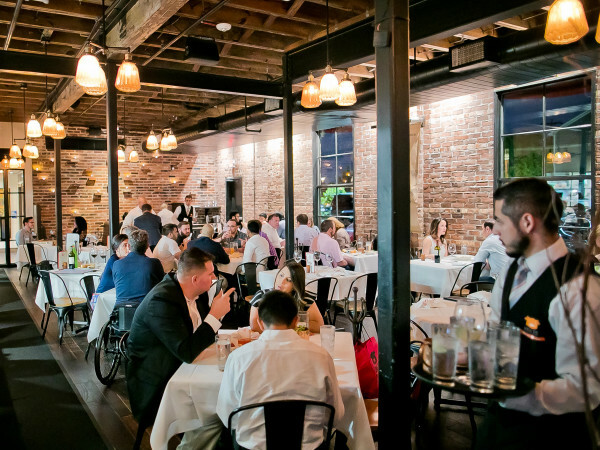 Genesis Prime Steakhouse & Wine Bar, a Glatt Kosher steakhouse coming to the Bellaire triangle that has Houston's rapidly growing Orthodox Jewish community buzzing. The Chicken Ranch, a fried chicken restaurant offering seasonal vegetable sides, craft beer and sparkling wine from talented home cook Paul Sedillo and former Goro & Gun principle Joshua Martinez that's coming to the northern end of the Heights. Radio Milano, the replacement for Bistro Alex at the Hotel Sorrella in CityCentre under the direction of former La Balance/Triniti chef Jose Hernandez. Instead of the French cuisine he's known for, Hernandez will be serving Italian food. If that food's executed at a level that matches Hernandez's considerable talents, it could emerge as one of the best restaurants in west Houston. Hugs & Donuts, the Kickstarter funded, high-concept donut and kolache shop from H-Town StrEATs chefs Jason Hill and Matt Opaleski should debut soon next to Fat Cat Creamery in the Heights. Amalfi, a seafood-oriented Italian restaurant from longtime Arcodoro chef Giancarlo Ferrara that will open this month in the Briargrove shopping center that houses the Palm steakhouse. The Nightingale Room, the latest concept from the Clumsy Butcher group will bring a nightclub atmosphere to the 300 block of Main Street with live music and dancing under the direction of popular bartender Mike Criss. Weights & Measures — If you only care about one restaurant on this entire list, it should be this one. The Midtown bakery/restaurant/bar brings together architect/investor Ian Rosenberg (13 Celsius, Mongoose versus Cobra), chef Richard Kaplan, Slow Dough Bread Co's Heath Wendell and 13 Celsius's Mike Sammons. If you only care about one restaurant on this entire list, it should be this one. 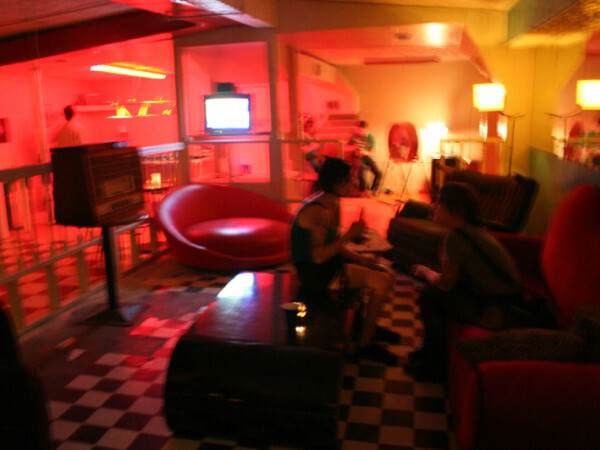 The space features 1970s design details like shag carpeting and custom-made wood panelings, along with a variety of seating options. Sammons will oversee the bar, called Love & Squalor, while Kaplan will build a menu around pizza produced from a massive oven. Also, Slow Dough donuts will be available every morning. Dak & Bop, a Korean fried chicken restaurant that will open in the Museum District space between Bosta Wine & Coffee and Museum Park Cafe. Wooster's Garden, a craft beer bar with a small food menu that's set to open next to Mai's in Midtown. Pappas Meat Co., a new concept from the Houston restaurant empire that brings together a casual version of the company's celebrated steakhouse with a little flavor from Pappas Burger and Pappas Bar-B-Q. They won't call it a competitor to restaurants like Salt Grass Steakhouse, but I will. Urban Eats, the Washington Avenue restaurant boom continues with this casual concept that will serve breakfast, lunch and dinner in a renovated space next to the fire station. Oporto Midtown, a stepped up version of the popular Greenway Plaza tapas bar features an interior designed by well-regarded architect Michael Hsu. The restaurant's Instagram feed provides a sneak peek at design details and delicious-looking future dishes. Hubbell & Hudson, The Woodlands restaurant that shed its neighboring grocery store has closed for a six week remodel. When it reopens in November, the space will feature new private dining areas and a chef's table where up-and-coming talent Austin Simmons will produce nightly tasting menus. Little Bigs, the slider joint from Reef chef Brian Caswell will move from its small location at Montrose and Westheimer to the former Chelsea Grill space next to Danton's. A full liquor license and the return of the mushroom burger complement that increased seating capacity. Bramble, former Bootsie's Heritage Cafe/Rainbow Lodge chef Randy Rucker's Tanglewood restaurant will offer a vision of "true luxury." Expect lots of local ingredients and a design that features reclaimed materials. Peska, a high concept Mexican seafood restaurant coming to BLVD Place at Post Oak and San Felipe. Oui Banh Mi, a late night banh mi shop from the Washington Avenue branch of Les Givrals in the former Lucky Burger space in Montrose. Samurai Noodle, a Seattle-based ramen shop that features housemade noodles will open at the intersection of Durham and I-10 in December. Big Eyed Fish, the long-delayed casual restaurant opening just off Washington Avenue near Liberty Station and Julep. Kata Robata Izakaya, coming in December to the former Farrago space in Midtown is this drinks-forward Japanese concept under the direction of former Cove Cold Bar chef Philippe Gaston. Visitors to Kata may find Gaston in the kitchen, where he and sushi chef Manabu Horiuchi are working to develop the menu. Fluff Bake Bar, the Kickstarter-funded bakery with a significant beer and wine program from well-regarded pastry chef Rebecca Masson will open in Midtown at 314 Gray. In addition to the macarons and cup|cake's she features at Revival, the space will allow Masson to serve plated desserts and host guest chefs. Ogden's Pour Society, a gastropub from James Beard Award winner Bradley Ogden that's scheduled to open in November in the Gateway Memorial City complex beneath Churrascos. Houston Watch Company, formerly known as The Drawing Room, a new bar coming to the former Franklin Coffee Shop space downtown. North, an Italian restaurant from Fox Restaurant Concepts headed to BLVD Place, comes from the Arizona-based empire builders who opened True Food Kitchen in the same development. B&R Butchers, a butcher shop and steakhouse from longtime Smith & Wollensky's general manager Benjamin Berg, will open on Washington Avenue. Southern Goods, a bar and restaurant that unites former Underbelly sous chef Lyle Bento with Cottonwood/Liberty Station founder Charles Bishop in the former Table 19 space in the Heights. Hunky Dory/Foreign Correspondents, the dual concept restaurant from the Treadsack Group (Down House, D&T Drive-Inn) that will open in a newly constructed building at the corner of Shepherd and 18th Street in the Heights. 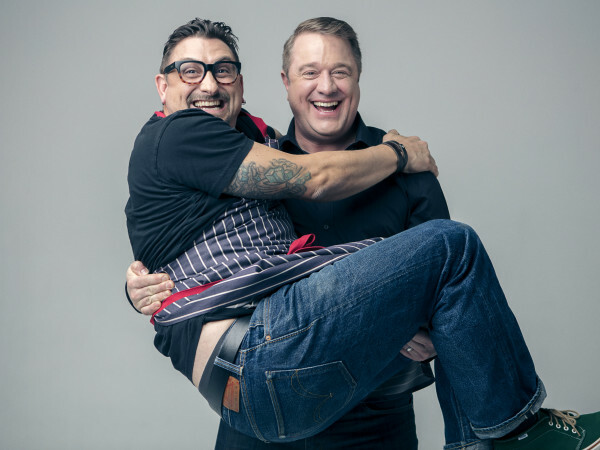 Hunky Dory features former Feast chef Richard Knight. A recent pop-up previewed dishes like rabbit terrine, pickled bean salad and a massive meat platter of locally raised beef and housemade sausage. PJ Stoops will trade his fishmongers boots for a chef's jacket at Foreign Correspondents, a rigorously authentic Thai restaurant. Ford Fry, the Houston native who is one of Atlanta's mostly highly regarded chefs will open a restaurant near his childhood home in the Lamar River Oaks shopping center. An oyster bar and wood-burning grill will help shape of menu of locally-sourced, Texas-inspired cuisine. FM 903, a casual neighborhood spot from Triniti chef Ryan Hildebrand that's scheduled to be built on the former site of Ruggles Grille. It will feature an on-site greenhouse and a bakery for talented pastry chef Samantha Mendoza. Fielding's Local Kitchen, a slightly more upscale concept from the same company that's made Fielding's Wood Grill a destination in The Woodlands. With bottles of wine priced at under $100 and house made pastas, breads and charcuterie, it could be worth the drive from points south. Omar Afra/Brandon Young bar and restaurant, the unnamed project that unites the owner of Lowbrow, Omar Afra, with one of the owners of Moon Tower Inn and Voodoo Queen, Brandon Young in a space on lower Westheimer. No real details about food or drinks have emerged, but whatever they do bears watching.